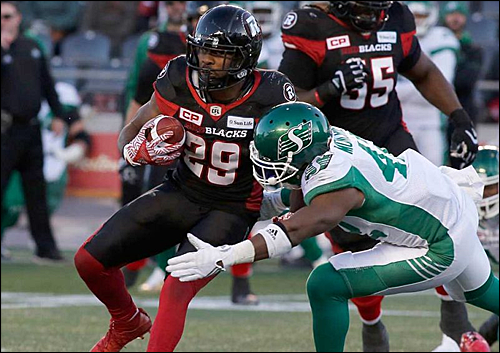 The Redblacks finished the regular season 11-7 overall, 6-3 at home, 5-4 on the road, and 5-5 in inter-division play. In the playoffs, the Redblacks are 1-0 overall. 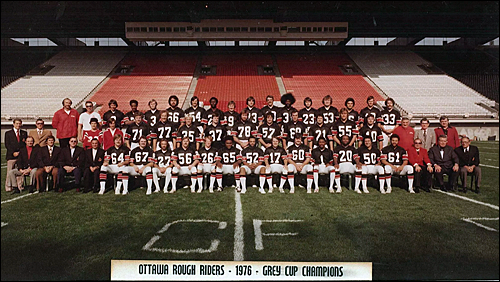 Ottawa is coming off a 46-27 home win against the Hamilton Tiger-Cats in the East Division Final on November 18. During the regular season, they averaged 25.8 points per game (5th in CFL) and allowed 23.3 points per game (3rd). 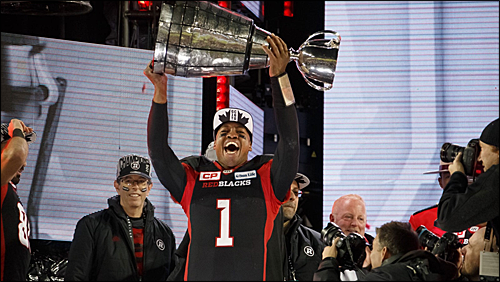 The Redblacks finished the regular season first in the East Division. The Stampeders finished the regular season 13-5 overall, 7-2 at home, 6-3 on the road, and 8-0 in inter-division play. In the playoffs, the Stampeders are 1-0 overall. Calgary is coming off a 22-14 home win against the Winnipeg in the West Division Final on November 18. During the regular season, they averaged 29.0 points per game (2nd in CFL) and allowed 20.2 points per game (1st). 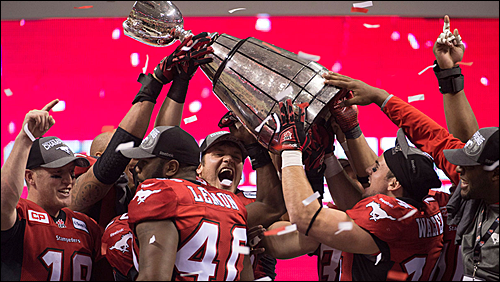 The Stampeders finished the regular season first in the West Division. Roster information is subject to change and is presented here as a basic guide for following the game. Rosters and team information is gathered from the team's official website, and will be updated as further roster information becomes available. Thanks for the in-depth preview. The CFL is a strong league. Both teams have major histories when it comes to the Gray Cup. This will be interesting to follow. Kickoff is in about 10 minutes. This should be fun! Looks like kickoff's gonna be closer to 3:30. Makes sense, kinda like the Super Bowl. Anyway, related to this game you got two QBs that are looking to shape their legacy. 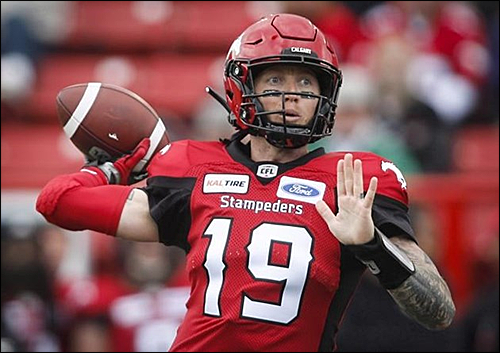 Bo Levi Mitchell, champion at EWU, and has won a Grey Cup in 2014, is in his third straight Grey Cup game (they lost the last two both at the end of the game). Another loss pretty much makes his impressive regular season stats seem irrelevant when he can't win the big one. Then there's Trevor Harris. He's got two rings as backup in Toronto in '12 and Ottawa in '16. He's been debated as being "Top Tier" of the 9 starting CFL QBs and he seemed to make a statement with 6 TD passes in the East Final last week.... which, I think is either a Finals record or a CFL Playoff record for most TDs passing in one game. Now it's if he can lead a team to win it all. Either way, should be a good game between two teams with basically the same red/black color scheme. Go Bo Levi! It's funny that in our fantasy league, I had both Bo Levi Mitchell and Trevor Harris. I'd say Calgary is the favorite, but we'll see what happens! And, Bo Levi is intercepted in Ottawa territory. Touchdown Calgary. Don Jackson 21 yard pass from Bo Levi Mitchell. Rene Paredes kick. Stampeders on the board first. 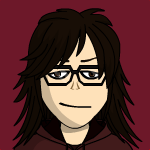 FG Redblacks. Lewis Ward 30 yards. Touchdown Calgary. Durant 17 yard pass from Bo Levi Mitchell. Rene Paredes kick. Touchdown Ottawa. Julian Feoli Gudino 30 yard pass from Trevor Harris. Harris 2pt conversion pass to Jean-Christophe Beaulieu. Touchdown Calgary. Terry Williams 97 yard punt return. Rene Paredes kick. Not a bad game at all. 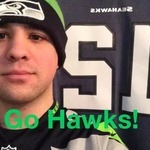 Let's see what happens in the second half.